Exercising in water is a fantastic way to keep fit as it gets your heart rate up without putting a strain on your body. Water is 800 times denser than air, giving a high level of resistance to increase the intensity of your workout. The water also gives you the benefit of cushioning your joints and reducing any strain on them, so it’s perfect if you have any mobility issues. 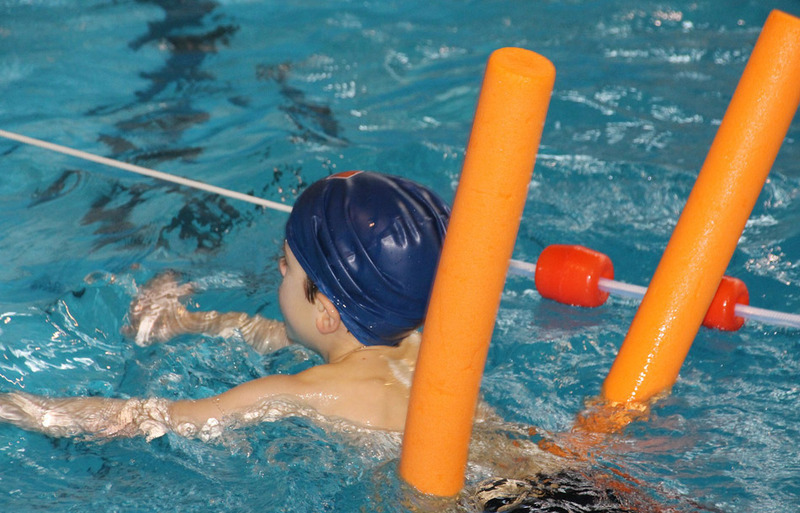 Bluecoat Sports have a range of classes in the swimming pool for you to choose from. 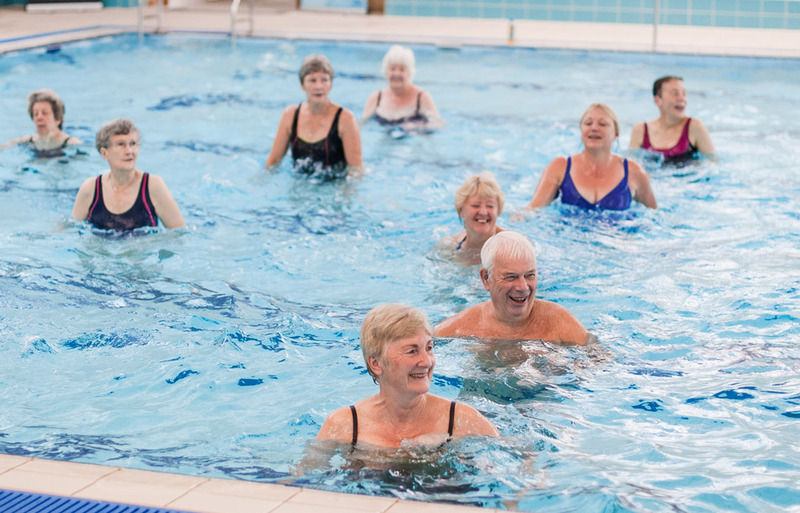 Our aqua aerobic classes are popular with all ages and members and non members alike. You’re in the water and our friendly instructor takes you through the different movements from pool side. This resistance training is set to great music and takes place in the shallow parts of the pool, so you will be about waist deep working by yourself or with floats for different exercises. Aqua aerobics can burn up to 300 calories per hour, and gives you a whole body cardiovascular workout yet protects your joints and muscles. You’ll need to be able to swim for our Deep Water Aqua as unlike the Aqua Aerobic classes, these take place out of your depth! If you love your aqua aerobics and want to take it to the next level then this fun session adds a degree of challenge for you. Using aqua belts (and occasionally aqua gloves and dumbbells) this will give you a great workout in a fun, relaxed environment. It is a great class to join if you have mobility challenges but still want an aerobic workout. 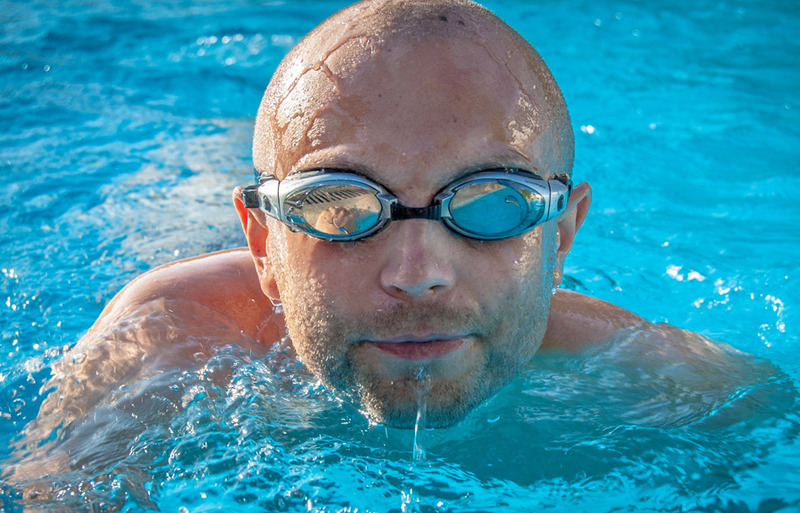 If you’re able to swim six lengths continuously and want to ramp up your swimming sessions, then Swim Fit is a fun and effective way to improve your technique and stamina. It’s your own personal motivational tool to challenge and support you to achieve your goals, helping you tone up and get fitter and stronger. You can do Swim Fit any time or as part of a class with an instructor. There are 30 Swim Fit session cards for you to follow displayed at the side of the pool. These range from 10 to 120 lengths so you will always find a card suited to you no matter what your ability or fitness level. Designed specifically for pregnant women, our Aqua-Natal Yoga class allows you to stretch out as your baby grows. This gives you access to deep relaxation without straining, avoiding impact and overheating. This is ideal for pregnant women who would like to tone abdominal and pelvic floor muscles in a safe, gentle and effective way. The class promotes an intimate bond with your growing baby, allowing you to fully relax and prepare your mind and body for the arrival of your newborn.